Attention-deficit hyperactivity disorder; Popular works. Although the ADHD stereotype is someone who canât sit still, in reality people with ADHD are endlessly curious, often adventurous, willing to take smart risks, and unusually resilient. They are creative, visionary, and entrepreneurial. 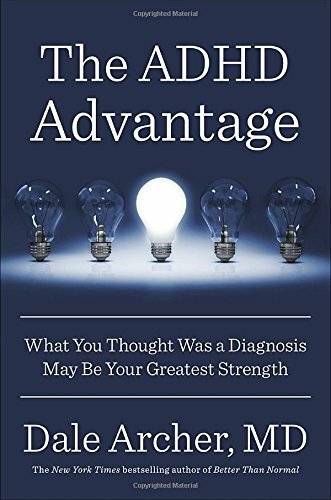 Sharing the stories of highly successful people with ADHD, Dr. Archer offers a vitally important and inspiring new way to recognize ADHD traits in oneself or in oneâs loved ones, and then leverage them to great advantageâwithout drugs. About: Why ADHD could be the key to your successFor decades physicians delivered the diagnosis of ADHD to patients as bad news and warned them about a lifelong struggle of managing symptoms.